When you need a Lauderdale Injury Attorney you can trust, call Robert Gluck from the Law Offices of Robert E. Gluck, P.A. Since 1989, he has been practicing law and helping his clients with their cases. Whether you've been injured in an auto accident, slip and fall accident, medical malpractice, or any other accident, we will be able to provide you the legal representation you need. Lauderdale Injury Attorney Robert Gluck will begin by proving negligence existed at the time of your accident. Proving negligence is important to show that the personal at fault should be held financially responsible for your injuries. Negligence is the legal standard of care one must follow to avoid injury to another person and if one falls under that standard, negligence exists. 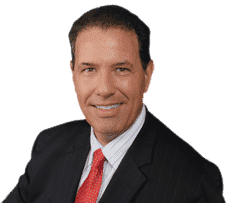 When you hire Robert Gluck to be your Lauderdale Injury Attorney, he will gather all of the evidence he needs to build a strong case for you. He will locate and speak with any witnesses to your accident, secure video surveillance, assess any property damage that had occurred, take photographs of the accident scene, and gather any other evidence he needs. Studies have shown you're likely to receive a higher compensation when you seek legal counsel from a Lauderdale Injury Attorney than if you try to handle the legal proceedings on your own. We understand how difficult this time in your life can be. We will be sure to handle all the details for you from beginning to end so you can focus on your recovery.